Progress in European market integration over the past two decades has come at the expense of growing flexibility, or differentiation, in the laws that govern the Single Market (SM) as well as the way that these laws are implemented. 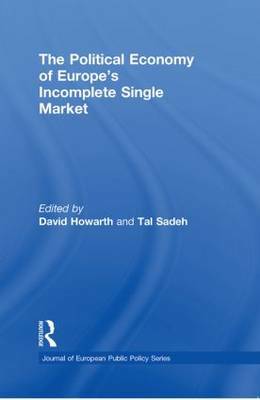 This volume examines how the completion of the SM has been held back in the varied implementation of European Union competition policy, variation in national policies on services, corporate law, telecommunications, energy, taxation, and gambling, and the EU's uneven transportation network. These sectors and issue-areas form the frontier at which the main political struggles over the future shape of the SM have taken place in the past decade. Broadly, progress in economic integration in the EU has been complicated by the need to reconcile perfections to the SM with the global competitiveness of European producers, and efficiency gains with ideational and normative concerns. In services, there is a clash between deregulation and social policy. Financial integration has had to reconcile different institutionalized views among the member states about the place of finance in the economy and society. The SM notion supposedly entails a concrete set of substantive policy commitments that form the basis of the `ever closer union'. However, increasing differentiation in the SM undermines the identification of the EU's core constitutional commitments.